Pope Francis’ Harley-Davidson motorcycle will be sold at a Paris auction to help raise funds for a soup kitchen and hostel for Rome’s homeless. The motorcycle, which was donated to Pope Francis last year, is signed by the pontiff on its tank. The Bonhams auction house noted Pope Francis’ “preference for modest modes of transport” in a statement Monday. 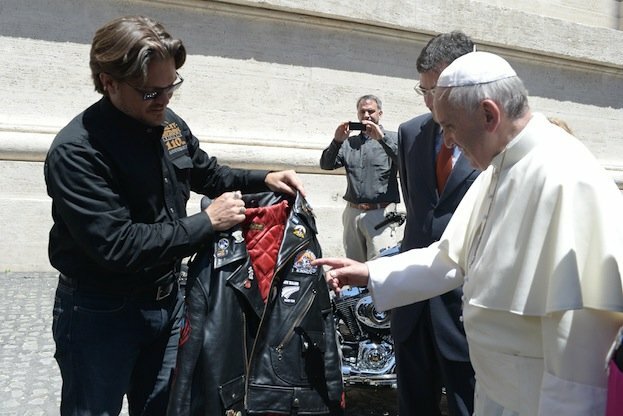 It says it will also be auctioning off on February 6 a Harley-Davidson 110th anniversary leather motorcycle jacket, size XL, signed by Pope Francis. The auction sales will raise money for Caritas Roma, a Catholic charity based in Rome.